This entry was posted on October 10, 2012, in nanowrimo, QfS, RtS, Serentasia novels, writing. Following Jessica‘s lead, I’m posting my chart comparing this year’s word count each day to last year. Last year’s novel followed the quest archetype, which meant I had a bit of a built-in outline, but this year I started with a very basic concept with few plot points. Last year I worked part time, about 6 hours a week being average. This year I am working full-time (yay!) and therefore had a lot less free time in my day (boo!). Last year I got engaged November 17 and just wanted to finish as soon as possible. This year I’m living with my fiance and have to juggle my free time with when he’s home (I find it a lot easier to write when I’m alone). Last year I met with Aimee (Poughkeepsie area ML) Tuesdays in addition to write-ins every Sunday. We had a lot of great back-and-forth convos about our novels. This year I went to the Poughkeepsie kick-off party, one write-in down in Westchester, and a couple IM convos with Aimee (and one with my cousin’s daughter) and that’s it. Last year I had a spiral notebook where I kept track of the ideas bursting from my head before it was time to set them down in the novel. I have continued using the notebook during editing. This year I have a spiral notebook where last night I wrote down a bunch of my mom’s recipes. Because I need to put them in my recipe binder. And they have nothing to do with my novel whatsoever. This entry was posted on November 13, 2008, in nanowrimo, QfS, Serentasia novels, SiG, writing. Lots of things going on in my life lately. I didn’t complete NaNoEdMo, but I’m okay with taking my sweet time on this. I am still tracking my editing hours and have passed the 10 hour point. 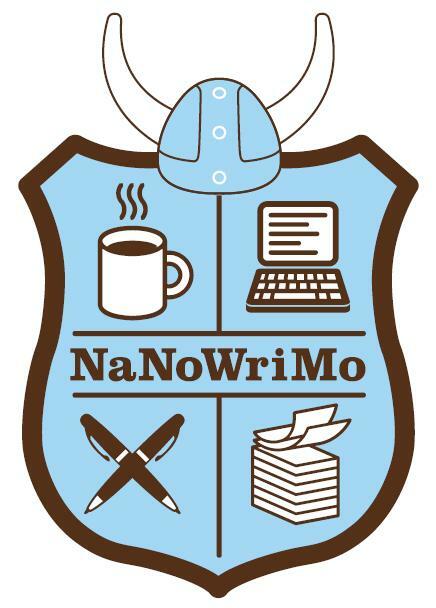 Now it’s just about time to get ready for this year’s NaNoWriMo. My fiancee said he’ll probably join me, and a coworker is on the fence and trying to get some of her friends to join before she really commits to it. I plan on lending her my copy of No Plot? No Problem to entice her. I don’t know what I’ll write this year. I have vague ideas for a sequel to QfS, but I’d rather hold off on that until the first one is done with editing so I don’t have to rewrite the sequel ten times as things change in QfS. I also have the “novel” ideas from January of this year, but I think the 1k that I wrote works best as is, so I plan on putting that in my short story binder along with the others. So where does that leave me? I have no ideas yet, but I’m sure (translation: I hope) some brilliance will strike my fancy just before November, as it did last year. My preparations have begun today, though! I have started rereading No Plot? No Problem, because of course I can’t pass it along until I refresh my memory. I have also started praying that I don’t get sick all that month — I’m sick now, going on a week, and I think that’s enough for one year. I’m thinking about which blank notebook to use for this year’s plans, ideas, research, sketches, highlighting, crossing out, epiphanies, peppermint hot chocolate stains….